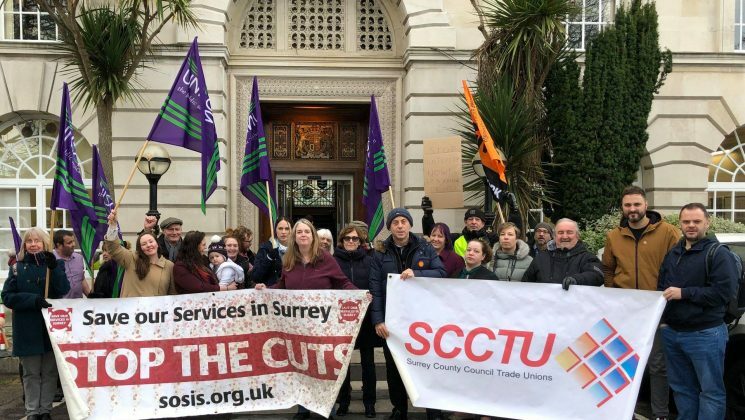 On 22nd January Surrey UNISON, alongside parents, supporters, workers and campaigners will be lobbying Surrey County Council on their proposals to close 37 children’s centres across Surrey. There are currently 58 centres helping families with children aged 0-5 years. The council’s recent proposals state that children’s centres should give more help to the children that need it the most and also offer support to the whole family, particularly families with children aged 0 – 11. This would mainly be additional or intensive support. The council is also proposing that children’s centres should also be the place where families can get support from other services such as health visiting, midwifery, citizen’s advice and support with housing and employment. To achieve this, the Council are proposing to have centres in areas with the highest number of children living in no-income homes or there are low pay issues. This will mean having only 21 main centres with at least one in each of the 11 districts or boroughs in Surrey. The Council are also proposing to scrap ‘Mobile Centres’ as they are deemed too expensive to run. 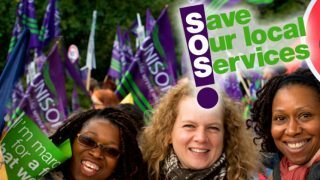 Surrey UNISON is extremely concerned about the impact this will have on poorer families in rural locations, who rely heavily on the support available from these centres. Without access to mobile services and with the imminent closure of smaller centres there is a real worry that families across Surrey will lose access to a service they desperately need.